This Humbot can follow a dark line over a clear background. 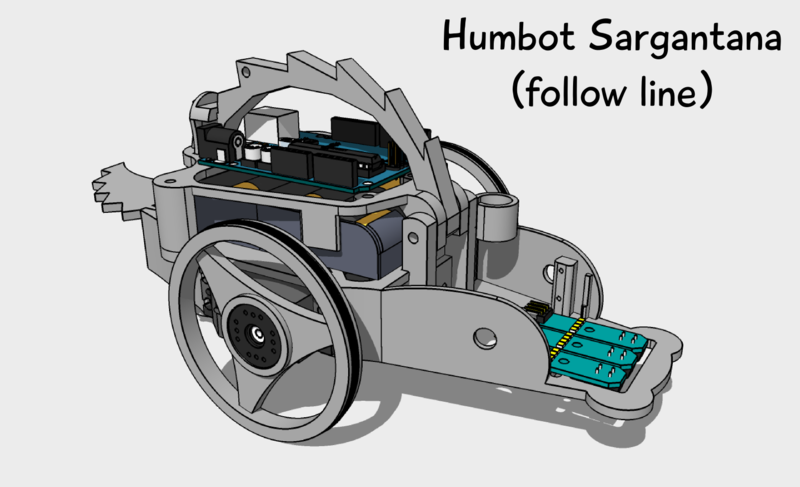 You will need, in addition to the Humbot basic, the follow line upgrade kit. Visit downloads page for more programs and files for 3D print your robot.